Welcome to a special edition of Monday Morning Quarterback, this time looking at the top 10 moments from the winter term of U SPORTS action. This was the 10th international competition for Malisch, but his first Universiade. And he had a tough fight to the top, qualifying for the Top 8 in fifth after five qualifying rounds, but then winning his semifinal match and moving up from fourth and last place in the final to take home the gold. The other Canadian medals at the Universiade were silvers from the women’s hockey team and the men’s curling team, a bronze from the men’s hockey team, and a bronze in women’s snowboard cross from Laval’s Audrey McManiman. The longest-standing Canada West track and field record fell in February, with the Alberta Golden Bears’ Austin Cole posting a time of 33.44 seconds in the 300 metres at the Canada West championships in Edmonton. That gave Cole his second straight conference championship in the 300 metres, and it marked the best time in that event in the conference since Saskatchewan’s Cyprian Enweani’s 33.56 in 1984. Enweani went on to compete for Canada at the 1988 Summer Olympics. UNBELIEVABLE!!! @acole_98 CRUSHES the @USPORTSca record in the 300m by almost HALF A SECOND! On the team side, the Guelph Gryphons won their second-straight titles on both the men’s and women’s side at nationals, while the Golden Bears finished fifth on the men’s side and tied for 11th on the women’s side. But Cole provided an incredible individual highlight for Alberta. The third-seeded Guelph Gryphons went on quite the run at the U SPORTS Women’s Hockey National Championships in Charlottetown in March, finishing that off with a 1-0 win against the McGill Martlets in the gold-medal game. That let them claim the Golden Path Trophy and the first national title in program history. That championship game came after the Gryphons beat the sixth-seeded Manitoba Bisons 3-2 in the quarterfinals and took down the second-seeded Montreal Carabins 5-0 in the semifinals. And it featured particularly dominant performances from fifth-year Guelph goaltender Valerie Lamenta, who made 20 saves to earn the shutout win, and from fifth-year forward and captain Kaitlyn Lowy, who scored the game’s only goal in the second period. The U SPORTS Men’s Volleyball Championship Presented by Hôtel Universel Québec title game in Quebec City saw the same matchup as the Canada West finals the week before, but a different result. In the Canada West finals, the host Brandon Bobcats edged the Trinity Western Spartans 25-23, 18-25, 25-21, 22-25, 15-12 to take their second straight conference title. 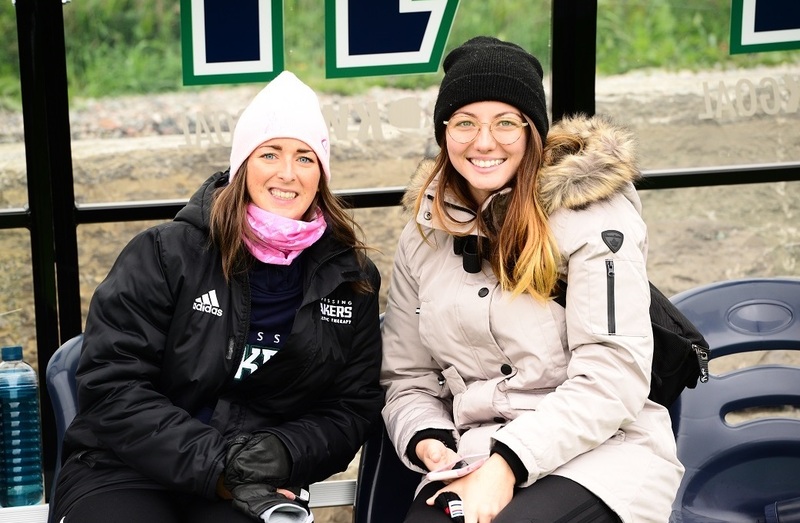 The teams wound up seeded first and second respectively at nationals, and they both went on a run through the field before meeting again in the gold-medal game there, but that one saw Trinity Western prevail 25-23, 25-21, 25-19. That championship marked the men’s volleyball Spartans’ sixth title since 2006, their fifth-straight appearance in the national title game, and their third win in that span (they also claimed national titles in 2016 and 2017). Third-year outside hitter Eric Loepky was named championship MVP, and he was named player of the match in each of TWU’s three matches. He had 11 kills and four service aces in the title game. The 2019 U SPORTS/Curling Canada Curling Championships in Fredericton saw the Carleton Ravens and Laurentian Voyageurs come out on top on the men’s and women’s sides respectively. The Ravens’ win was particularly interesting, as it was the first time the school had ever won a men’s national curling title. Carleton skip Cameron Goodkey, third Mackenzie Calwell, second Morgan Calwell and lead Brendan Acorn went 5-2 through the round-robin, good enough for second behind the Dalhousie Tigers. They then edged the Alberta Golden Bears 8-6 in the semifinals to set up a gold-medal clash with the Memorial Sea-Hawks. That final was pretty close early on, but the Ravens scored three in the eighth end and went on to a 10-4 win. Goodkey told the CBC’s Devin Heroux this accomplishment felt great, especially considering that he had only been curling for six years. "This has been the goal and to get here feels pretty great. It's nice to get your name out there a little bit. I haven't been curling that long. Not that many people know me. Some people had no idea who I was coming in here." Well, they’ll certainly know who he is now. Congratulations to @CURavens, 2019 U SPORTS Men's Curling Champions! RECORD ALERT! GRAND SLAM! @Kjmasse, @Varsity_Blues earns a grand slam, winning 200 backstroke gold in a @USPORTSca record of 2:08.70! The Carleton Ravens are again U SPORTS men’s basketball champions. The 2019 U SPORTS Men’s Basketball Final 8 championship game saw the reigning champion Calgary Dinos take on the top-seeded Ravens, but the Ravens led wire-to-wire in a 83-49 victory. That marked their 14th title in the last 17 years, their fourth in the last five years, and their eighth in the last 10 years. 🚹🏀Congratulations to the Carleton Ravens, 2019 U SPORTS Men’s Basketball Champions! Eddie Ekiyor, awarded the Jack Donohue Memorial Trophy as the Final 8’s Most Valuable Player, again led the way for Carleton in the gold-medal game, posting 12 points and 15 rebounds. Afterwards, Ekiyor said it was a team defensive effort that got them the win (they held the Dinos to just 25 per cent shooting from the field), and that it felt great to be national champions again. That title also marked the end of an incredible run as head coach for the Ravens’ Dave Smart, who’s been in that role since the 1999-2000 season and was at the helm for all 14 of those titles. Smart is moving to a new role as the Ravens’ director of basketball operations for both the men’s and women’s programs, with long-time women’s head coach Taffe Charles shifting over to become the new men’s head coach. The 2019 U SPORTS Cavendish Farms University Cup championship game in Lethbridge saw the defending national champions, the top-seeded Alberta Golden Bears, facing the second-seeded UNB Reds. But it was the Reds who came out on top, earning a 4-2 win and winning their third national title in four years. That win came after the Reds beat the seventh-seeded Carleton Ravens 2-1 in the quarterfinals and downed the sixth-seeded StFX X-Men 9-0 score in the semifinals. In that championship game, Steven Owre opened the scoring for Alberta five minutes in, but Samuel Dove-McFalls struck back for UNB two minutes later. Olivier Cooper then gave the Reds the lead late in the second period, with Kris Bennett making it 3-1 shortly afterwards. Brandon Magee scored for Alberta just under seven minutes into the third, making it a one-goal game, but Mark Rassell provided insurance for the Reds afterwards. UNB also got a standout performance from goaltender Alex Dubeau, named the tournament MVP; Dubeau made 34 saves in the win, including this show-stopping grab. Afterwards, UNB head coach Gardiner MacDougall said his team hung in there early thanks to their defensive play, and that gave them something to build on. It's the loopy, off-balance bank shot heard ROUND THE WORLD! 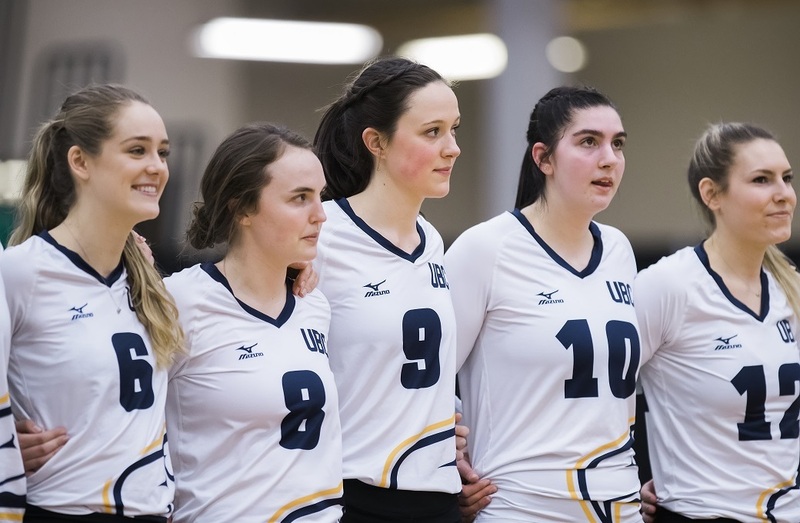 It’s pretty unusual for the lowest-seeded team in a national championship field to be the one that wins, but the eighth-seeded UBC Thunderbirds did just that at the 2019 U SPORTS Women’s Volleyball Championship in Edmonton in March. The Thunderbirds were the last seed in the field after a Canada West semifinal loss to the Calgary Dinos, but they edged the top-seeded Trinity Western Spartans in five sets in the quarterfinals and beat the fourth-seeded Dalhousie Tigers in four sets in the semifinals to set up a title clash with the defending champion (and sixth seed) Ryerson Rams. In that title game, UBC bounced back after losing the first two sets, eventually winning 14-25, 20-25, 25-20, 25-20, 15-11. Championship MVP Kiera Van Ryk led the way for the Thunderbirds with 24 kills and 13 digs in the gold-medal match, while Tessa Davis added 15 kills and nine digs. Both players were named to the all-tournament team alongside setter Olivia Furlan, who had 57 assists and 13 digs in the championship game. But that game could have gone very differently, and looked to be heading for a Ryerson win after the first two sets. Van Ryk said afterwards the Thunderbirds were determined to never give up, though.